Catherine Cano has been in the communication business for almost 30 years. She has had senior executive roles and has been in charge of the management of some of Canada’s most successful news franchises. Catherine is presently Executive Director of television and radio news programs and their digital content at Radio-Canada. She is also responsible for all national special news coverage. 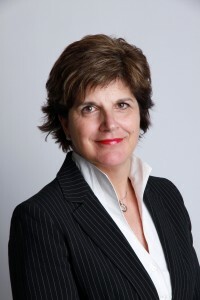 Catherine was News Director of Radio-Canada television and the head of RDI, the all news network of SRC. Prior to becoming Director of Program Development at the CBC for radio and television services, she was the deputy news director at Aljazeera English based in Qatar. Catherine also worked as a Senior consultant and was President of Canovision, a US based consulting firm which advised news organizations and others on strategy, management, ethics,news production and newsroom reorganization. She is a recognized leader in empowering organizations in their transition to the digital world and helping them adapt to the changing media industry and communication world. Before coming back to Radio-Canada in February of this year, Mrs. Cano decided to head the Toronto office of the largest public relations’ firm in Canada, NATIONAL PR and became Managing Partner. For almost three years she worked with business leaders and the media. This most valuable experience gave her the opportunity to see the role of journalists from another perspective. Catherine is on the board of JHR – journalism for human rights, and of CJF – the Canadian Journalism Foundation.